Beachcomber Cruises is a proud family owned and operated business with seven vessels operating throughout the Queen Charlotte Sound. 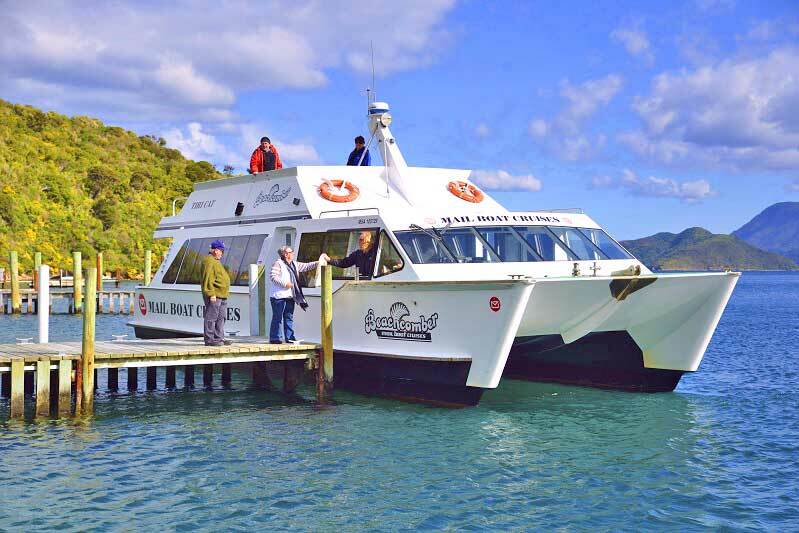 Based on the Picton waterfront with boats on the water 364 days of the year rain or shine, Beachcomber Cruises are the Marlborough Sounds cruise, transport and Queen Charlotte Track transfer specialists. With a variety of different cruise options available including the “World Famous” Magic Mail Boat, Ship Cove and Motuara Island Bird Sanctuary Cruises there is something for everyone. You can even spoil yourself with a cruise and long lunch at one of the many exclusive luxury lodges and resorts in the beautiful Marlborough Sounds.